← Bible Basics: Recognizing the Voice of God! Gen 3:22-24 Guarding The Way To The Tree of Life! I’ve already addressed the 1st part of this verse in another blog so I will not rehash that part of the verse. It is just important to note that God says the man has become like Him, in covenant with good and evil. That is some very powerful information, and it helps give us some foundational information for why God came in the flesh. If you need more information, please go back and read the Blog on “Gen 3:5 You Shall Be As God Knowing Good and Evil!“. Now pay attention to how God ends that verse. God says “because the man might also eat from the tree of life and live forever…”. Then God abruptly stops talking. This is one of the only places in the Bible that I know of where God doesn’t finish His sentence or His thought. God stops talking and leaves us wondering what was He going to say? Based upon the creation account in Genesis 1, we can see that whatever God says happens, so I would venture to guess that God did not want what He was thinking to come to pass so He shut His mouth and stopped talking about it. But that is just my opinion on the verse. But, I do think that is a powerful lesson for us all to learn from. You can see the reference here to God putting forth his hand. This is clearly the same terminology used in Genesis 3. Satan was telling God if he used his power to “touch” all that Job had, Satan thought that Job would curse God. Without getting into the story of Job, I will tell you that God did not take anything from Job. God did not hearken to the voice of his wife and do the wrong thing, like Adam did. What I want you to see is the reference that God has a hand that can be stretched forth. If the Spirit of God has a hand it must be spiritual. Just understand the difference between a spiritual hand and a physical hand and both are called a hand. This is one of the trickiest ways God has used to conceal information in the Bible. Speak of spiritual things in natural terms and then challenge your reader to figure it out. Apparently, Adam had power and ability and was still capable of eating from the tree of life and living forever even after God said he would surely die. Obviously Adam did not understand what had happened, much less how to eat from the tree of life. We know from Genesis 2, that God had commanded the man not to eat from the tree of the knowledge of good and evil. But God never said anything about not eating from the tree of life. There appears to be an assumption that eating from the tree of life is good. But now that Adam was in covenant with Satan, what does God do? Who is God attempting to keep from the tree of life? You can clearly see that this is the creation account of the body of Adam. Adam’s body was formed from the dust of the ground. So where was Adam when this occurred? All you have to do is read the next verse and pay attention to the compass directions given. If the garden of Eden is located to the East of where Adam’s physical body was formed, what direction was Adam and Eve returned to after they had sinned? If you guessed back to the West, you would be correct. 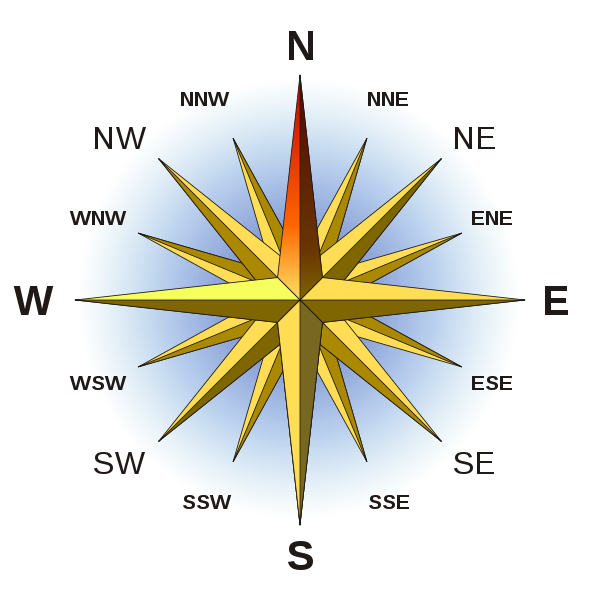 Why is east and west and these direction so significant? We can begin to ascertain the importance only after reading the last verse in Genesis 3. So God drives the man out of the Garden and then it says God places a Cherubim at the east of the garden holding a flaming sword to keep the way of the tree of life. Are you beginning to see the paradox? Where did God drive Adam? God put the man and his wife back to the ground where they were created and this was West of the Garden of Eden. So where was the guarding Cherubim placed? They were placed to the East of the Garden. It is so fascinating when you see things correctly, isn’t it? God is obviously not attempting to keep the man away from the tree of life, if he was he would have placed the Cherubim on the West side where the man was. We can see that this verse describes the throne of God and the Lamb. It declares that there is a river of water of life flowing from the throne. That of course is an interesting concept since Jesus told us in John 7:38, that out of our bellies will flow rivers of living water. Our bellies is referring to our spirits, the true inner man. This reference is about the words that we speak and them being a river of life to others in the world. So the river of life flowing from the throne of God must also be the Words of God. Revelation 22:2 now directly mentions the tree of life. But did you notice where or what this tree is? It says this tree grows in the middle of the streets around the throne of God. Who walks the streets of heaven? I personally believe this is a reference to Christians. It further says that there are more than one of these trees of life. In fact if you look closely it implies there are many, many trees of life everywhere surrounding the throne of God. If you use your brain a little bit you might be able to see that the implication is given to us, that we are the trees of life. But that might be hard for some to see. Let’s approach it from a different perspective? It says this tree is suppose to produce 12 fruits monthly. Exactly what is fruit? To the natural mid it is just apples, oranges, grapefruits, etc. But to the spiritual mind it is much different. God being a spiritual being is speaking of spiritual trees that produce spiritual fruit. So what are the fruits of the spirit? Oh, that changes everything doesn’t it? I guess I’ll end this blog here and just leave you hanging. Maybe I have given you some new things to consider and challenged you to think on a higher dimension. God had to guard “the way” to the tree of life from Satan. Satan is still after this tree, but I don’t believe he has a shot at it. You see Jesus said “I am the Way”, so nobody can come to God except Jesus allows him access. Jesus Christ is the only legal way to this tree of life and if you belong to Him, you now have access to this tree of life to produce the fruit of the spirit. I’ll try to continue this in another blog to help expand our understanding of this deep subject. If you would like to continue reading this series on Understanding Genesis 3 you can go to “Part 7“. Posted on January 15, 2010, in Bible Study, Chapter 3, Genesis and tagged Bible, Christianity, Church, Covenants, creation, Genesis, God, Jesus, Prophecy, Religion, Revelation, Truth, woman. Bookmark the permalink. 3 Comments. You have opened my eyes. I will change my email title. This lesson is very wonderful and i did learn elot ,my eyes are open. Thank you very much, I am blessed by your words.